Amused Sloth's goal is to make games that bring a smile to your face. As an independent game studio based in Romania (registered in UK), the team is always trying to experiment with new mechanics and themes, striving to make fun games infused with humour and charm. A small team was built in 2010, out of the desire to make games and enter the mobile gaming market. Thanks to the previous experience with XNA of the team members, the launch of Windows Phone was the perfect opportunity that we needed. We started with a small team of 5 people, exploring various game mechanics we could use to make a new and interesting game. A few months later, In February 2011 we released Chickens Can Dream. Following the good reception the game got, we partnered up with Microsoft Game Studios to bring our initial vision, Chickens Can't Fly, to Windows Phone as an Xbox LIVE game. In our quest to take advantage of Xbox LIVE, we added lots of new featured like asynchronous multiplayer and avatar awards, which pushed the game to be released in February 12, 2012 followed by a huge update in July. Soon after, we slowly but constantly grew the team while working on new games, and preparing to expand to new platforms, like iOS and Android. February 2013 went by us without a new release, since we were with our hands deep into two new games and the Chickens Can't Fly porting efforts. We're now super busy, getting ready for the imminent release of our newest creations into the wild. After that we're ready to start working on new experiences and are always keeping our eyes on the next big challenge: making awesome PC games that keep the players smiling! 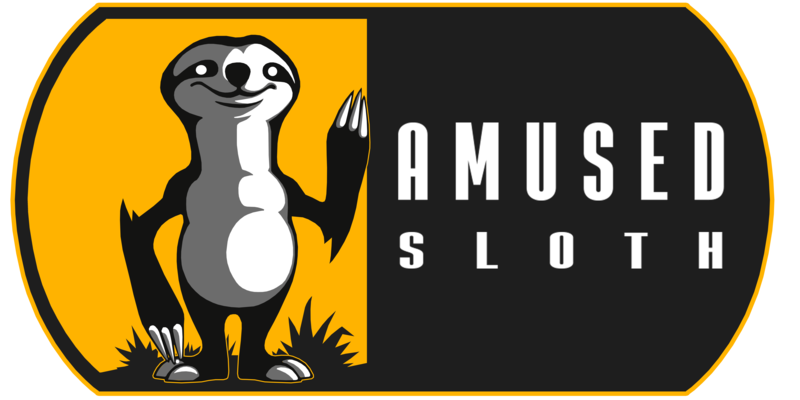 There are currently no trailers available for Amused Sloth. Check back later for more or contact us for specific requests! There are far more images available for Amused Sloth, but these are the ones we felt would be most useful to you. If you have specific requests, please do contact us!